Pretty much every kind of flora and fauna in Australia can kill you. Seriously, take it from someone who was born there: Every crazy story you hear about Australian wildlife probably has some basis in reality. 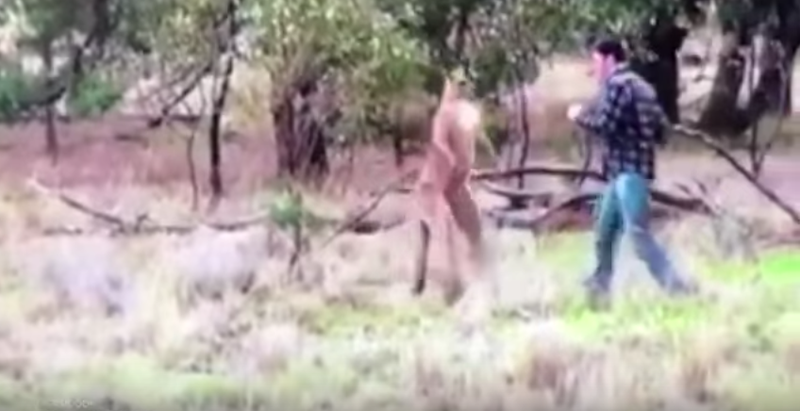 There isn’t much detail available on the clip’s origins—the description for the YouTube video only features the phrase “Man punches kangaroo in the face to save dog being strangled” over and over again—but one Australian news outlet described it as “what might be the most Australian thing on the internet.” I’m not going to disagree with you there, guys!